Twilight is defined as the 30 minute period of 'dusk after sunset' or 'dawn before sunrise' during which the sky is partially lit. After twilight ends, "night" begins and it is dark. 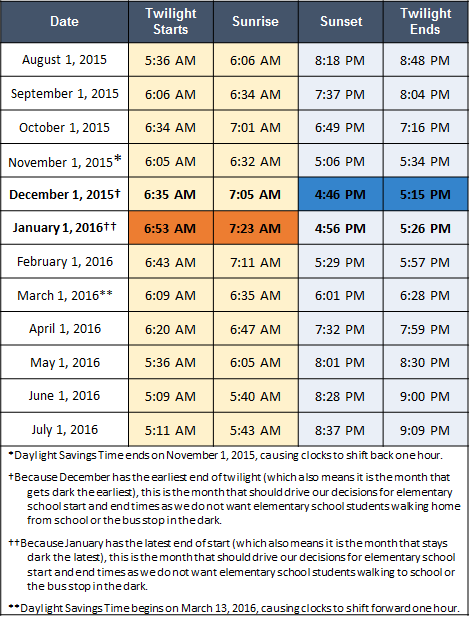 The table below shows sunrise, sunset, and twilight hours for Anne Arundel County throughout the year. Late afternoon transportation will be provided during the months of November, December, and January. Additional stops may be designated along specific routes at the discretion of the Supervisor of Transportation." 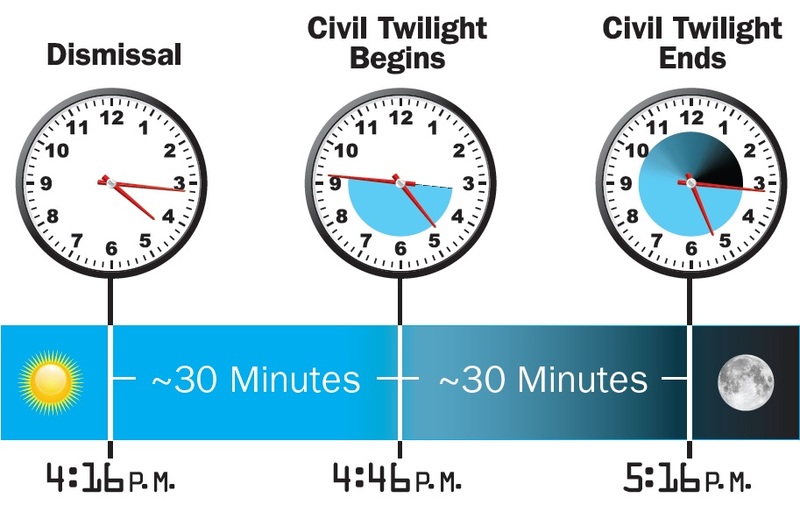 NOTE: If our latest school was to dismiss by 4:15pm, there would be a 30 min period between school dismissal and the beginning of civil twilight and an additional 30 minute period before twilight ends and we have darkness. These start time hours were calculated using the JekoPhoto Twilight Calculator . AACPS provides Transportation from designated bus stops for students who reside within the schools attendance area. Transportation is dependent on a child’s grade level and the distance of the child's residence from the school. 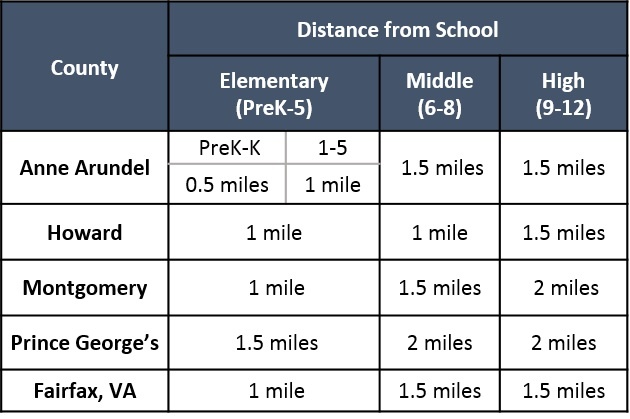 The table to the right shows the transportation boundaries for students in Anne Arundel County as well as neighboring counties. Students living outside of these boundaries are eligible to ride the school bus.